These cover designs can be used as the front page of your program and can be printed on any letter size paper you choose. 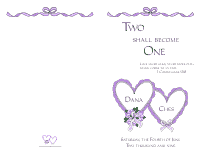 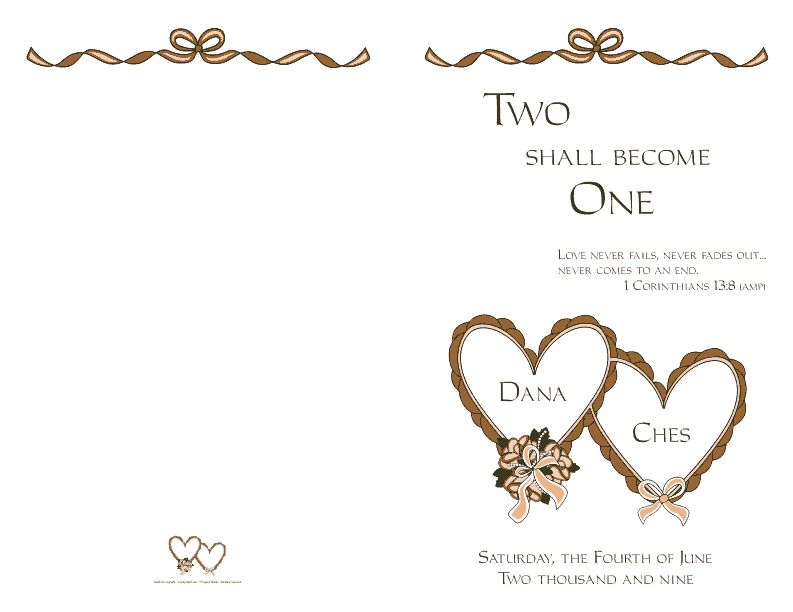 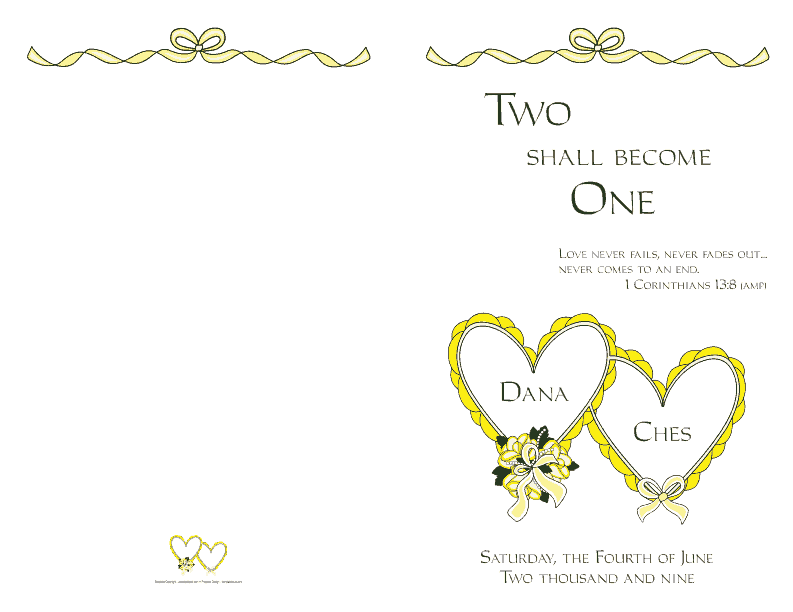 It can also be used as the cover page for any of our compatible wedding program templates. All verses and wording can be easily changed on the templates. The template is available in Corel Draw, Publisher and Word formats and is available in several different colors. If you have Corel Draw, the colors can be easily changed.